Occasionally we get asked a few questions regarding electronic cigarettes, our reviews or vaping in general. 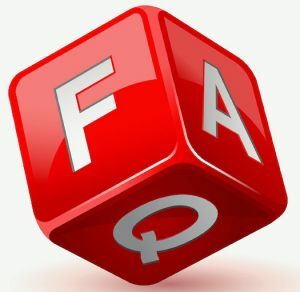 We decided to create a Frequently Asked Questions (FAQ) section to help answer some of the more common questions. Feel free to contact me if your question does not appear here and need some assistance. Q: What makes your website different from all the other vaping review sites? A: We think you will notice quite a few differences between Vaping411 and the majority of other vaping websites on the internet. First of all, we actually try the products we are reviewing. Vaping411 does not simply rewrite the description found on the product’s home page. We test the product and write our impressions of it. Usually our articles include a video accompaniment – created by us – so you can see this product in action. Vaping411 also includes unique articles pertaining to the vaping industry as a whole as well as exclusive videos offering cost saving measures, instructions or something just to give you a laugh. Q: What is your experience with smoking and vaping? In other words, do you know what you’re talking about? A: Jim started smoking when he was 16 years old. He finally quit smoking after 24 years once he tried an electronic cigarette. Jim has been vaping (exclusively) for over six years now and never looked back. Jim and the gang behind Vaping411 are extremely passionate about vaping and truly believe electronic cigarettes are a game changer for those trying to put down cigarettes. Q: I am new to electronic cigarettes. What articles do you suggest I read first? What is an E Cigarette? – How an electronic cigarette works. Types of Vapes – There are many types of e cigs. Make sure you pick the one best for you. The 411 on Clearmizers, Cartomizers and Cartridges – This article will assist you in understanding the various tanks used in electronic cigarettes. Understanding Propylene Glycol and Vegetable Glycerin – This article will help you understand the ingredients which make up e Liquid. Vaping Glossary – This page will help you understand various vaping terms and abbreviations. Q: What are the health risks associated with electronic cigarettes? A: They are much less than traditional cigarettes. But we do have an extensive article on this subject. You can find it by clicking here. Q: The electronic cigarettes you review on your site are much more expensive that the ones I see for sale at the grocery store or gas station. Why is that? A: Because the ones for sale in grocery stores and gas stations are cheaply made and not worth the cost. Trust us when we say you are doing yourself a favor by not buying those cheap e cigs. Everything you need to know about avoiding these products can be found here. 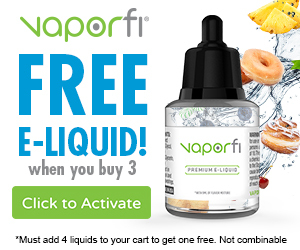 Q: What e Liquid nicotine strength should I purchase? A: Our advice is to buy one strength higher than what you smoked with traditional cigarettes. Our personal opinion is that the nicotine transfer is not as efficient when vaping as opposed to burning tobacco. So you will want an e Liquid which is slightly stronger than what you smoked. If you smoked full flavored cigarettes, you will want to buy extra strong e Liquid with something around 24 mg of nicotine. If you want to sub ohm vape, don’t use any vape juice stronger than 6 mg. Experiment with a few e Liquid strengths to find the strength best for you. Q: What is your relationship with the brands and products you review? A: We only advertise products we have thoroughly researched and believe in. The relationship is based on an advertiser/affiliate relationship. In December 2009, the FTC released Guides Concerning the Use of Endorsements and Testimonials in Advertising. The guidelines state that a website must disclose its affiliate relationship when advertising, reviewing or promoting any products. In other words, some of these product reviews include affiliate links to the products. We may receive a commission if a purchase is made after clicking one of these links. There are no hidden or additional costs you have to bear when purchasing from one of these links. In fact, many of our reviews offer exclusive discounts provided to Vaping411 and its website visitors from the advertiser itself. You can actually save money by using the links on this website for your next purchase. Q: How can I get you to review my line of electronic cigarettes and vaporizers? A: You can contact us at webmaster@vaping411(dot)com. Please keep in mind that we will require a product sample in order to conduct the review. Further details can be discussed via email. For more common questions, please check out our article.